Online casino VIP programs are the easiest and most economical way to increase your bankroll. With so many online casinos to choose from, operators are becoming more competitive than ever. So, while most casinos already offered some form of VIP program, now you’d have to look far and wide to find one that doesn’t offer one. Everyone knows the popular saying, “the house always wins.” This is true. It’s still possible to win at the casino, but if you look at all the players combined, the casino will always come out ahead in the end. This fact is not lost on the casino operators. They know it, and they know that the players know it. In order to make the players feel as though they are getting value for their gambling dollars, the casinos establish VIP programs to help offset the sting of defeat. In land-based casinos, VIP rewards can take the form of free or upgraded hotel rooms, gift vouchers for free meals, gifts, and sometimes even cash. Online casino VIP programs reward their players with exclusive bonuses, cash rewards, free tournament entries, gifts and more. These rewards programs are extremely popular with winners because it makes them feel valued so they come back for more. They are also popular with players who have a run of bad luck at the casino because they help take away some of the pain of a loss and encourage players to keep working towards a big win. What Are Online Casino VIP Comp Points? “Comp” points is the name applied to the complimentary points that casino members can accumulate based on their level of play. Entry in online casino VIP programs is, in most cases, automatic. At land-based casinos you would usually be required to register for the program before you start playing. They often supply players with a VIP rewards card they can use to collect points for every wager. Online casinos tally these points automatically. The software used to operate the games records each wager and the amount of the wager. Comp points are then awarded accordingly. 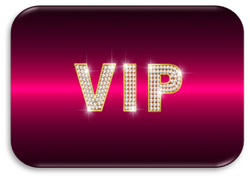 The goal for any player is to attain the highest level of VIP status, which offers more generous rewards. However, in order to attain this goal, players would need to place bigger wagers on the games. These big wagers help to offset the cost of the rewards. The rules for online casino VIP programs vary from casino to casino. Each casino will usually have their own set of rules. You can often find the rules for online casino VIP programs posted on the casino website. Or, if you’re unable to locate them there, you can try contacting the customer service department and ask them to explain how the program works, and what, if any, rules you may need to know. Also bear in mind that all online casino VIP programs are not created equal. Sometimes the requirements for achieving a higher VIP level involves placing bigger wagers than you might need to do at another casino. So don’t be afraid to look around before committing to any one casino. Some casinos will allow you to accumulate player rewards at one of their “partner” casinos. This can be a great option if you enjoy having some variety. Online casino VIP programs are a great way to stretch your bankroll. Just one word of caution; collecting VIP rewards should be a perk, not a goal. As indicated above, the casino manipulates these programs to ensure that the cost of the program is covered or at the very least, minimized. Wagering to get to the next VIP level makes no financial sense whatsoever.